I drive a car and I sail, but flying is new to me. You leave the wheelchair on the ground, no restrictions and you carry on – its confidence, its freedom, it’s fantastic. I did not want to land the plane and just fly off into the sunset.. Janette Marsland – Freedom Wings Pilot With the PHAB Club, July 2010. Flying brings children that glorious feeling of being alive and the exhilaration is carried through into their daily lives. To pilot an aircraft even once is a huge achievement for anyone and for a person with a disability or for someone who has been severely disadvantaged, it is doubly empowering. Freedom Wings is a wonderful opportunity to introduce those with disabilities to the freedom experienced in the air. 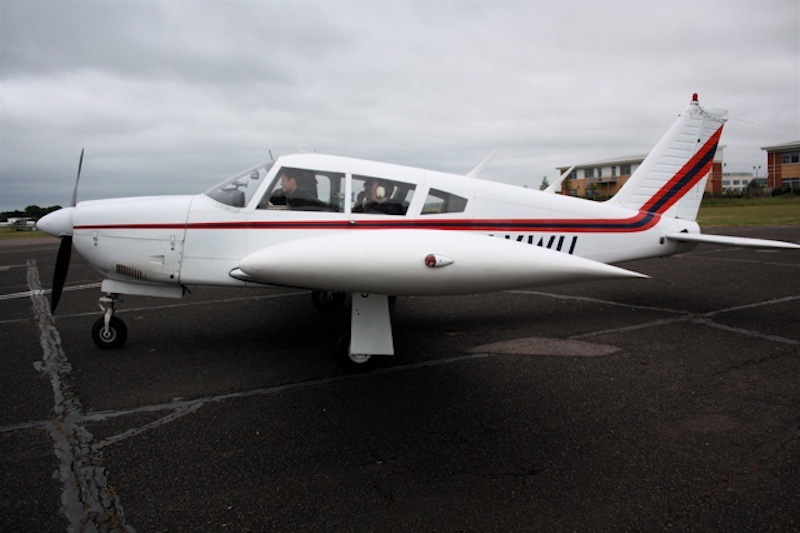 A day safely taking control of the plane is a life-changing experience and enables young people to achieve virtually anything. Flying is one of the few activities where disabled people can participate to the same degree as an able-bodied person. The exhilarating experience rebuilds confidence and restores self-esteem. This, in turn, empowers people to explore their potential by extending their personal boundaries. In the air, we all fly at the same speed; nobody is disadvantaged or disabled. Freedom Wings days introduces our guests to the workings of an aeroplane and the group will then visit hangars, the Fire and Rescue Service and the control tower. After a safety briefing there will be talk on ‘how aeroplanes work’. Lunch is served at about 1230 in a picnic style, and in the afternoon, all our guests, accompanied by an adult, will, weather permitting, enjoy the pleasure of a short half hour flight. FITA organises regular flying days for young people. The young participants come from a variety of organisations (such as Barnardos, Kids Co, Variety Club, PHAB Club the Disability Resource Centre, the Young Carers Association and so on) will learn all about being a pilot, before having their own private 20 minute flight in a light aircraft with family members, where – if they wish – they can take control of the aircraft. All of this is carried out with full supervision of aviation safety practices. We fly a PA28 Cherokee – fitted with the Vision air hand control – and a Cessna 172 – fitted with the Union hand control. These fittings enable pilots with lower limb disabilities to operate the rudder pedals with their hands. The day begins at about 11:00 when the group is welcomed to our aerodrome at Cranfield. The young people are introduced to the practicalities of flying and the workings of an aircraft. Chief Flying Instructor of Cranfield Flying School gives the safety briefing. The group is then taken on a guided tour of a nearby hangar, where a variety of light aircraft are parked, and everyone is able to view them at close range, inspect the controls and the cockpit. The aeroplanes to be used for the flights are parked just outside the viewing area of the flying club to enable quick access and turnaround in between the flights. A large table is set up on the grass in the viewing area and a picnic lunch from Café Pacific can be enjoyed by all in the sunshine. The day-long event culminates in each Freedom Wings pilot receiving a personal record of their flight, together with goody bags provided by Sebastian Pooley, of Pooley’s Flight Equipment and signed certificates as a memento of a very unique day. The day will be organised as a fun day for everyone and it is hoped to see many smiles and give our guests an unforgettable experience. If you would like further information please use the below form to contact us.